Posted April 4, 2019 by Seán Kinane & filed under National Politics, News and Public Affairs. Democrats continue to pressure the Justice Department to release the entire Mueller report without redactions; on Wednesday the House Judiciary Committee approved subpoenas for special counsel Robert Mueller’s full report on Russian interference in the 2016 U.S. elections. On Thursday in St. Petersburg there’s a demonstration planned demanding the release of the full Mueller report. WMNF interviewed an organizer, Andrea Hildebran Smith. She is with FACT, Floridians Against Corruption and Treason. “A demonstration to demand the release of the full Mueller investigation report to Congress and to the public. We’re doing it because the two-year investigation by Special Counsel Robert Mueller has generated a nearly 400-page report that only the Attorney General William Barr and any associates he shared it with have seen. “The Attorney General needs to release this report to Congress and to the public. We need to have the information about what kind of contacts the Trump campaign had with agents connected to the Kremlin. Attorney General Barr released a 4-page summary. They’re in the process right now of redacting things in the report that — I guess — the general public shouldn’t be able to see, like things from the Grand Jury. Are you being a little bit impatient in demanding the release of the full report when maybe there should be steps in place in the meantime? “Congress has subpoenaed the report. They’ve authorized a subpoena for the full report. Congress needs to see the full report. The public deserves to see the full report. “There is a lot of information in the public domain already about contacts between people in the Trump campaign — people involved in the campaign, who are part of Trump’s family — who have had meetings that were expressly about the Russian government’s support for the Trump campaign. And multiple other threads of this investigation that are known to the public. 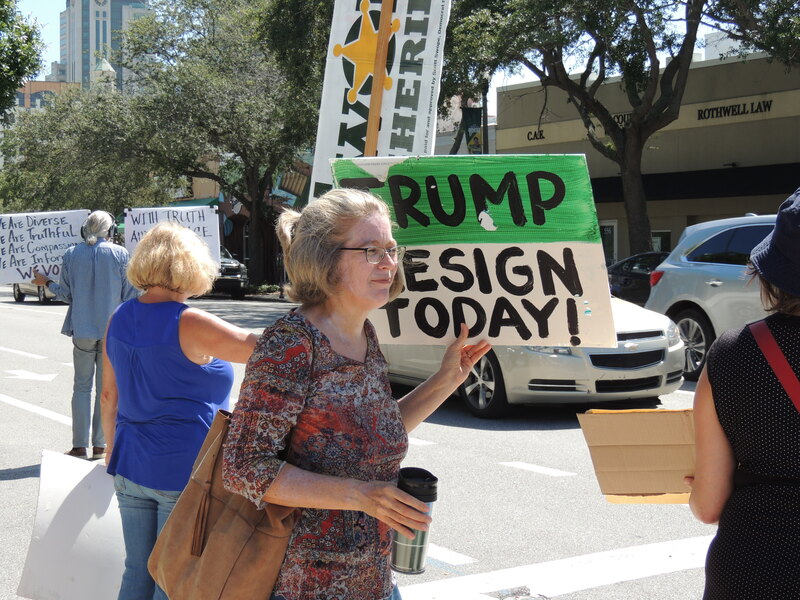 The “Nobody is Above the Law” demonstration (organized by Indivisible) begins at 5:30 p.m. Thursday at South Straub Park, 198 Bayfront Drive N.E. in downtown St. Petersburg.